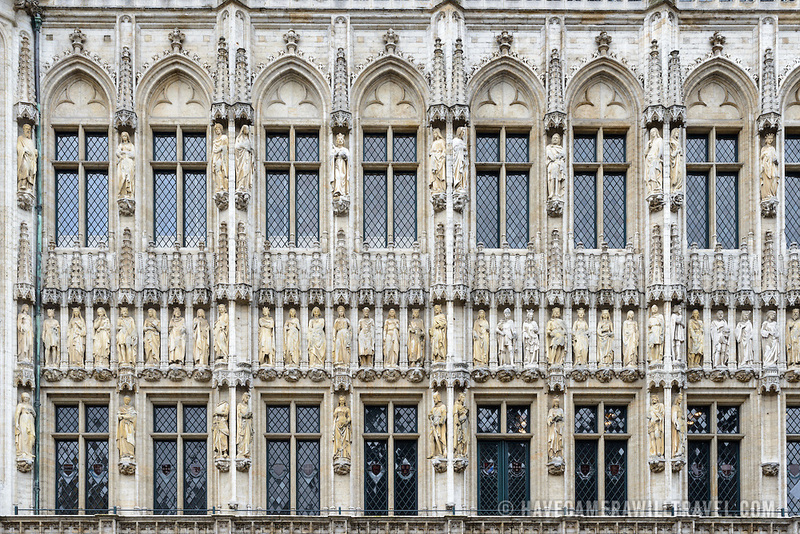 Detail of the front exterior of the Town Hall (Hotel de Ville) in the Grand Place, Brussels. Originally the city's central market place, the Grand-Place is now a UNESCO World Heritage site. Ornate buildings line the square, including guildhalls, the Brussels Town Hall, and the Breadhouse, and seven cobbelstone streets feed into it. © 2013 David Coleman. All rights reserved.